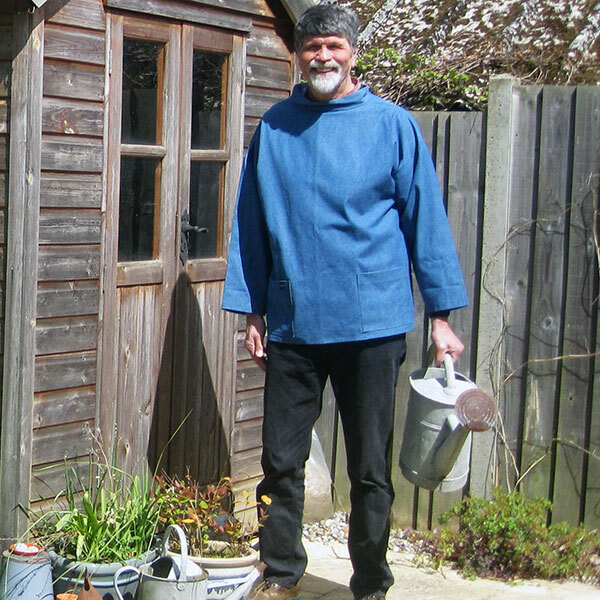 SMOCK makes garments for an outdoor creative lifestyle, sized generously to fit over sweaters. The SMOCKS are either crafted from denim and lined with Liberty of London prints and spots or from Linen. They are 100% natural fibres and designed and made in North Norfolk, England. SMOCK makes traditional workwear with a twist. Crafted from beautiful natural fabrics – denims, cords, linens and twills, and lined with luxurious patterns including Liberty of London Tana Lawn. These Garments are designed for an active creative lifestyle in Norfolk UK. Women; Small (10), Medium(12-14), Large(16) and XLarge (18). 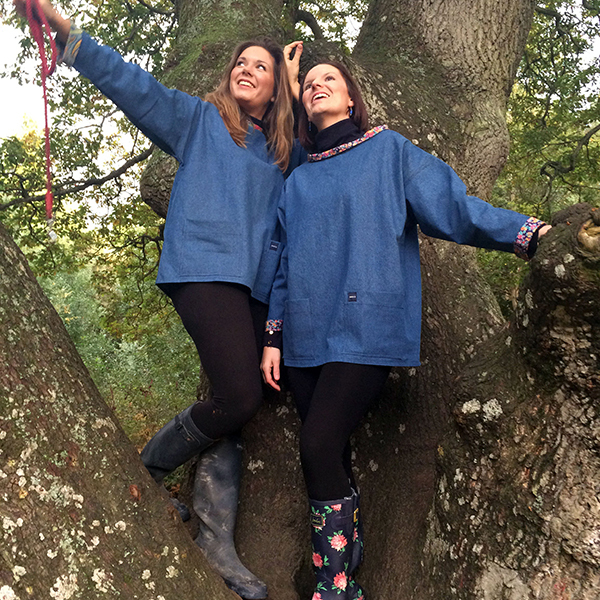 The SMOCK is designed to fit over sweaters and sized generously. Available in 3 jewel colours, Red, Turquoise and Navy and lined with Liberty Tana Lawn prints, these beautifully soft garments are ideal to wear over your winter layers. 2” longer than the traditional SMOCKS , so ideal with leggings and jeans. A traditional fisherman’s SMOCK made from strong but soft Italian Twill and lined with Liberty Tana Lawn prints or fine navy needlecord. 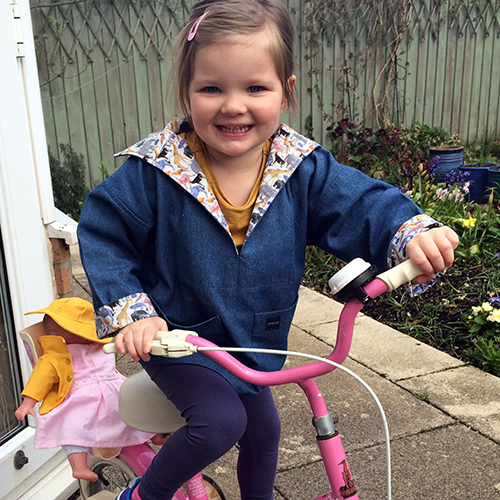 This garment combines the design features of the denim SMOCKS with an exciting new colourway. I set out to design and make a garment that could be worn for an active creative lifestyle. The smock is crafted from soft washed denim. The neck and sleeves are faced with limited edition ‘Liberty of London’ Tana Lawn Prints. All fabrics are made from natural fibres. The proportions are generous, the sleeves are three quarter length for women and children, full length for men, both the collar and the sleeves can be turned back to reveal the lining. The pockets provide useful storage for essentials when you are enjoying your active, creative lifestyle. The new Linen SMOCKS are made from luxurious printed Liberty of London Sycamore Linen. They are 2" longer than the traditional SMOCK, cool, comfortable, easy stylish living - ideal to wear over jeans or leggings. The design retains the wide neck, large pockets and thee quarter length sleeves so popular in the traditional SMOCKS.